While you choose a hat, we are sure that there are many things that you need to consider including the material, the size, as well as the design of the hat. One of the most important features that you need to consider is the color. For many people, they like to go with neutral and solid colors such as black or white, which can go well with other pieces of other clothes. On the other hand, if you want something bolder and more vivid, go for red, bright blue, or pink. Pink is one of the cutest or most feminine choices of color. Therefore, there is no doubt that a girl should have at least 1 pink hat in the wardrobe. 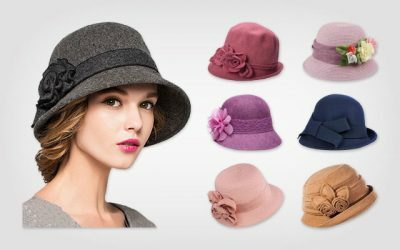 Being one of the most popular colors for a women’s hat, there are thousands of choices that you can find on the market. If you don’t know where to start, why don’t you take a look at our top picks of the best options that you can- in terms of design, functions, and quality. 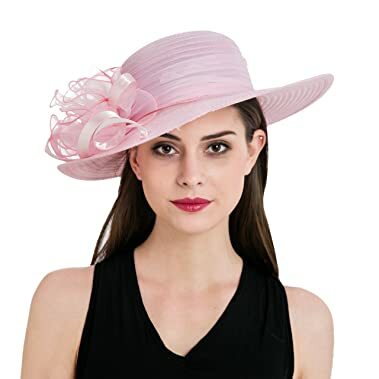 Its Main Features: This cute hat is a Kentucky derby hat, a formal dress hat that you can wear to various formal occasions such as weddings, racing events or churches. 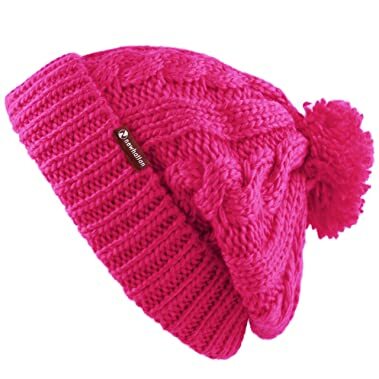 There are several options of colors for you to choose from including a pink hat for women. This hat is made of 100 % of polyester organza. This hat is available in 1 size which can fit head’s circumferences from 21 to 23 inches. The width of the brim is 3.93 inches. This hat is made of the premium quality material for soft and lightweight Kentucky hat. Also thanks to the top notch quality material, this hat is quite breathable and comfortable to wear. The hat comes with an inner sweatband which is capable of wicking moisture away and ensuring that you feel cool in a hot day. The brim of the hat is wide enough to cover a large area of the face as well as the neck. Not to mention that while the brim is wide, it would not become flimsy in case of a high wind thanks to the reinforced structure. There is an inner wire that runs along the edge of the brim to keep it in its original shape all of the time. 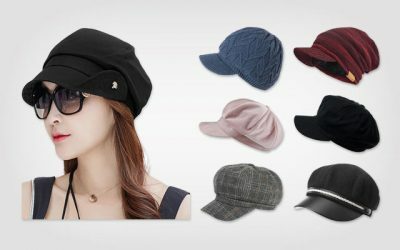 Thanks to its high quality features, you can wear this hat to various formal events in the spring, summer, and autumn. This type of dressy hat can surely make you stand out. But just in case you wear it in the right way. Check out this small article in this link https://thebesthat.com/how-to-wear-a-fascinator/ for the right way to wear a formal dress hat like this to a formal event. Its Main Features: This pink hat is made of 100 % of acrylic material. It features the design of a traditional knit beanie hat. It is available in 1 size with a stretchy inner hatband for a better fit. Thanks to the premium acrylic yarn which is soft and smooth. The yarn material is thick enough to keep your head warm in the cold days. Moreover, the yarn material is stretchy enough to fit your head and make sure you feel comfortable all of the time. This beanie hat comes with an inner sweatband. This headband is made of the premium cotton material that it adds extra comfort to your forehead and prevents your forehead from rubbing against the yarn material of the hat. Last but not least, this hat is well made with neat stitching line for a firm and solid construction. There is no loose thread on the hat as well. Thanks to the tough material, you can enjoy washing the hat both with the washing machine and by hand. This hat will not shrink under warm water. 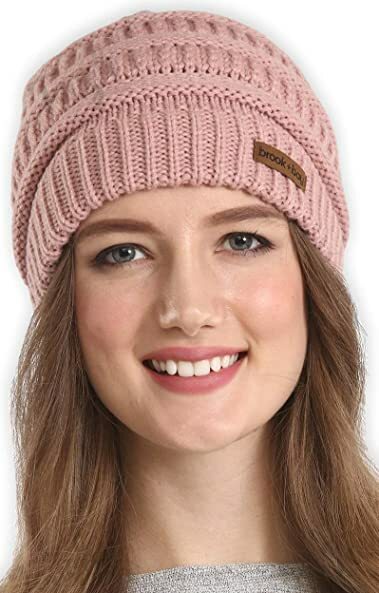 This pink knit hat is a great choice for you to wear in the spring, autumn, and winter. It goes well with your casual winter wear for a comfortable and cozy look and feel. This hat is suitable for you to wear when you take part in various activities such as skiing and camping in the winter as well. Its Main Features: Here comes another Kentucky derby hat. 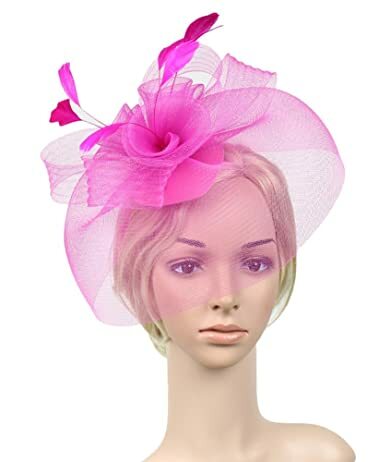 This hat is made of 100 % of polyester featuring the organza and gauze style. There are more than 30 options of colors for you to choose from including some various shades of pink such as bright pink and hot pink. It is available in 1 size featuring an inner adjuster. The width of the brim is 5.1 inches. The brim of this hat is super wide, which helps to provide a lot of coverage for your face, your neck, and your ears. This is definitely a helpful feature when you attend an outside event. The hat is also well made with an exquisite craftsmanship. While the hat is made with double layers of organza and gauze, this hat doesn’t look stiff at all. In fact, it looks elegant and adorable. The gauze material is of the premium quality so that it is soft and lightweight and at the same time tough and durable. Like other high quality dress hats that you can find on the market, this hat features an inner adjustable sweatband for you to have a better and more customized fit on the hat. Besides pink, there are many choices of colors for you to choose from. Also, you can choose among several decorations such as floral items, diamond casings, stones, and feathers. No matter which your styles and requirements are, you can easily find one option which is the most suitable. Its Main Features: This hat is made of 100 % of straw featuring the design of a floppy hat with a wide brim and a big bowknot on the side of the hat. This hat is available in 1 size. You can buy this hat in light pink, or in other colors such as blue, red and khaki. This hat has a brim of 6 inches in width and the crown of 4.8 inches in height. This pink straw cowgirl hat is made of the premium quality material which makes the hat soft and extremely breathable. While it is well ventilated, the straw of the hat is woven tightly enough to provide UV protection. The fabric of this hat is rated 50 + UPF to effectively block the harmful elements away from the sun. 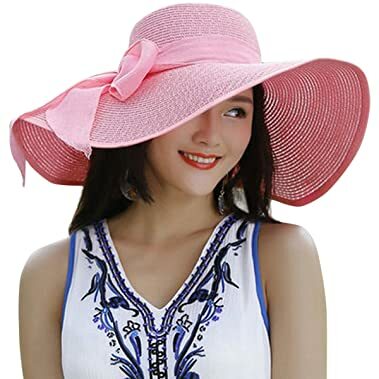 Moreover, the brim of this hat is wide enough to provide a lot of shades for your face as well as your ears and your neck, prevent your sensitive skin from getting sunburn. However, while the brim is reinforced for a better shape, it can become floppy and block your view in case of a high wind. Moreover, this hat features an inner sweatband which prevents your forehead from rubbing against the straw material. This inner sweatband also helps to wick moisture away and keeps your head cool and dry all of the time. Thanks to the soft material, you can easily fold the hat and pack it for convenient storage and carrying around with you when you go travelling. The hat is well made with a solid and sturdy construction and neat stitching. With a big wide brim and a bowknot, this hat brings an elegant look that is suitable to wear in all seasons throughout the year. Its Main Features: This cute hot pink ha for women is made of 87 % of polyester and 13 % of spandex. Besides pink, there are several options of colors for you o choose from including dark grey, heather and black. This hat features the design of a baseball cap with a 6-panel construction and a curved visor. It also features a low profile with a 4 inch high crown. This hat comes in 1 size with a reflective hook-and-loop back closure. The fabric of this hat is quite soft and smooth to the touch. In addition, it is quite thin and lightweight. Moreover, this hat has a sweatband which is capable of wicking moisture away. With such these features, this hat is quite comfortable for you to wear in a hot day. Not to mention that this Adidas baseball cap features the unique Clima-cool mesh part, which helps to provide extra air flow and wick moisture away to keep your head cool and dry all of the time. While the fabric of this hat is thick, it is rated 50 + for its UPF. It means that the hat can effectively block the harmful elements of the sun rays and protect your skin. The visor of the hat is pre-curved with non-glare material. It blocks the glares and snow. The fabric of this hat is thin, and flexible enough to expand so that you will not feel tight in this hat. While this hat is available in 1 size, it has a reflective hook-and-look back closure which is very smooth when you adjust to help you have a better and more customize fit with this hat. It is surely one of the best choices to wear when you take part in outdoor sports in the summer. Its Main Features: Here comes another hot pink baseball cap for you to choose from. It features the classic style of the low profile baseball cap with a 6 panel construction and a double ring closure. This baseball cap is made of 100 % of cotton. You can also choose from other options of colors such as yellow, blue, red, and olive. This pink baseball cap is available in 1size that can fit head’s circumferences from 21 to 23 inches. The crown of the hat Is 4 inches while the width of the brim is 3 inches. 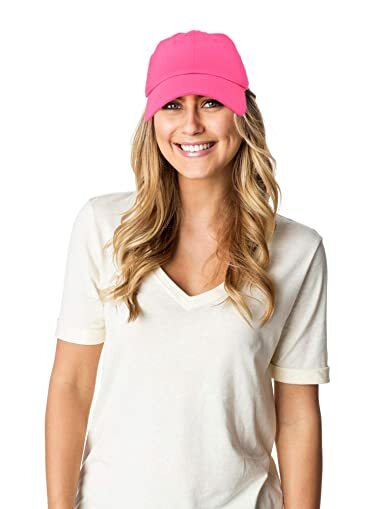 Like what you expect in a high quality baseball cap for women, this hat is made of the premium quality cotton material, which is soft, lightweight, and breathable. Moreover, this hat comes with 6 ventilation holes to make sure the air can circulate well around your head. The fabric of this hat is rated 50 + for its UPF so that it can keep the UV rays and other harmful elements from your skin and your eyes. While this hat is available in 1 size, it can be easily adjusted for a customized fit thanks to the back metal buckle. Also, with a soft inner sweatband lining, your forehead will feel not so tight even when you have to wear this hat for a long time. The sweatband is also capable of wicking moisture away, adding extra breathability for you in hot days. With this sporty baseball cap, you can wear it when you take part in outdoor sports such as running, cycling and golf. It also goes well with other pieces of your casual clothes thanks to its solid color design. It is definitely a great additional headwear to your everyday wear. 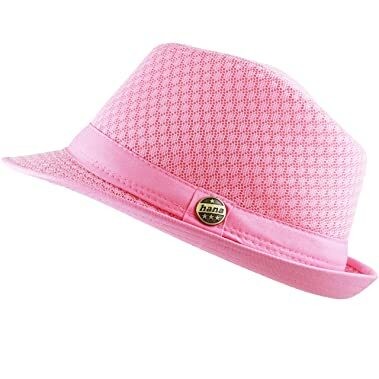 Its Main Features: This cute and trendy hat is made of 100 % polyester featuring the design of a fedora hat. The height of the crown is 4.5 inches and the width of the brim is 1 inches. This hat is available in 1 size that can fit head’s circumferences from 21 to 23 inches. It is available in solid color design with a hatband of the same color. There are several colors for you to choose from including pink, red, and orange. There are many things that you would love in the hat. First of all, this hat is made of the premium quality which is soft and lightweight. It is also highly breathable thanks to the mesh construction of the hat. Moreover, with an inner sweatband, this hat is capable of wicking moisture away and keeping your head cool and dry all of the time. Second of all, the construction of this hat is firm, solid and durable. It is made with an excellent craftsmanship with neat stitching. The brim is reinforced so that it stays in its shape well. Nevertheless, you can slightly curve the brim to shape it to the shape that you like. All of the stitching lines are done nicely with no loose threads. Last but not least, this hat is crushable and packable for you to easy store or carry this hat around. When you take the hat out, it will spring back to its original form. When creases and wrinkles appear on the hat, you can easily steam iron the hat to make the surface of the hat flat. Its Main Features: This hat is made of 100 % of nylon with a mesh part and feather details. It features the design of a fascinator with feather accents and a veil. You can use this as a hair clip. You can choose the light and bright pink option, besides other options such as red, blue, and white. Needless to say, this hat is made with high quality materials for its extra toughness and durability. The nylon material makes the hat extremely lightweight, regardless of how many details there are on the hat. The mesh material does look expensive to add extra elegancy to the look of the hat. It can also flow nicely for extra impact of feminine. The feather is well made to stay in its shape well. 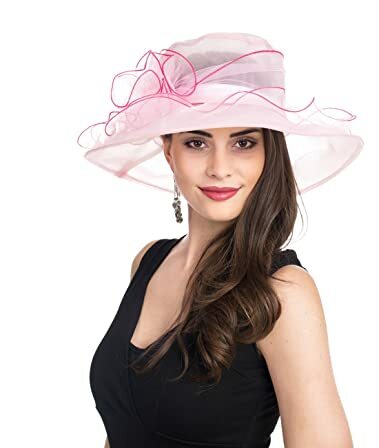 Another thing that you will love about this hat is that this fascinator is easy to wear. This hairclip is firmly affixed with a clip so that when you put this fascinator on, it doesn’t feel heavily on your head. All of the details are glued together but it is nearly impossible to spot the hard glue. In case you are looking for a dress hat but don’t want something as extravagant as a Kentucky hat, you can consider this option. It is more lightweight and easier to wear, but still bring you the elegant and stylish look that makes you stand out from the crowd. 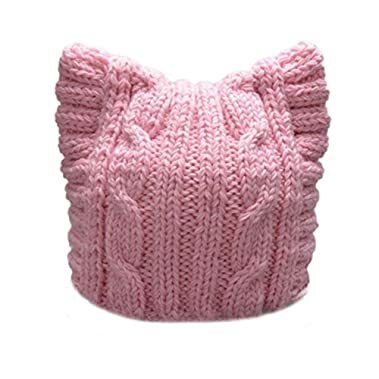 Its Main Features: There would be no cuter beanie hat than a pink cat hat. Check out this cozy beanie hat with ears on top of the hat. There are 2 choices of pink to choose from including light pink and rose. There are other options of colors such as red, orange, and sky blue. This hat is made with 100 % of knitted yarn with 1 option of size. This hat is made with a premium yarn material which can provide extra warmth and coziness to your head when it is cold outside. Moreover, the material of this hat is stretchy enough for you to wear the hat a little bit over your ears. As a result, you will feel much warmer and cozier. And thank to the stretchy material, you will feel comfortable wearing the hat all day long. This hat is fleece lined to prevent any irritation if any from your head rubbing against the tarn material. Not to mention that these colors on this beanie are bright and vivid. They are fade resistant to stay in their same shades regardless of how many seasons you wear the hat. It is dirt resistant and easy to take care of. Pink hats with ears are an ideal option for you if you are looking for a cute pink hat to wear with your casual clothes in the winter. It helps to cover your bad hair and give you an instant adorable look as well. Its Main Features: This pink hat is made of 100 % of acrylic. It has the design of a knit beanie hat with a pompom on top of the hat. There are 2 options of pink for you to choose from including hot pink and light pink. You can choose among other options of colors such as red, green, grey, and black. It is available in 1 size that can fit most of adults’ heads. Like other high quality winter hat, this hat is made of the premium acrylic material which is soft and smooth to the touch. In addition, it is quite stretchy and elastic so that it can easily have a comfortable fit on your head. It is stretchy to that you can wear it in various ways as well- to cover your ears or to let it stay high on your head. Besides the high quality acrylic material, this hat comes with fleece lining for extra warmth. Not to the mention that this fleece lining can help to prevent your forehead from rubbing against the fabric of the hat. One of the most significant details of this beanie hat is the pompom. It is attached nicely and securely on the hat so that it will not easily fall off the hat. Other details of the hat are nicely made for a firm and solid construction. You can easily fold the hat and stuff it into a small bag for easy storage and carrying around. With such a traditional and classic yet trendy style, this hat is suitable for everyday wear, to anywhere you go. This pink cowgirl hat is made of the premium Tokyo straw, which makes the hat soft, lightweight, and comfortable to wear, especially in the summer. With the high quality material and the woven structure, this hat is cool and breathable. Moreover, this hat comes with an inner hatband to help wick moisture away and add extra comfort for your head. The hatband is also highly stretchy and flexile for you to find a better fit with this hat. The colors available on the hat are bright and vivid. They are also fade resistant so that they keep their nice shades regardless of how long you wear the hat. Last but not least, the brim of this hat is wide enough to provide a lot of coverage for your face, your neck and your ears. The brim come with an inner wire that runs along the edge of the brim. Therefore, it will not become flimsy in case of a high wind. You can also easily reshape the brim to whatever shape that you like. 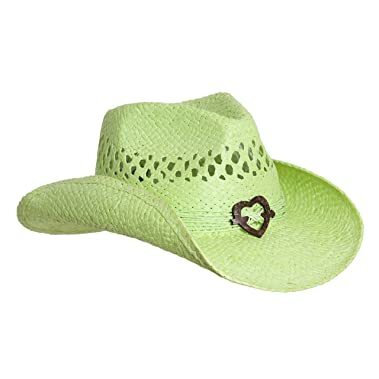 With such a cute and unique design, this hat brings a different look rather than other cowboy hats that you can find on the market. It would be a great option for you to wear to various summer musical events, parties or other fun and informal events. 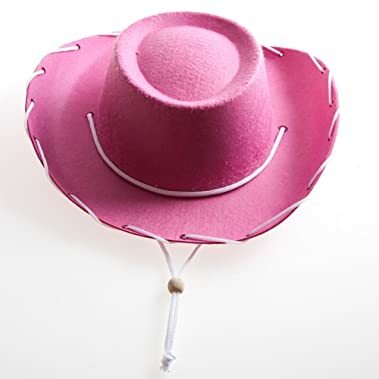 Its Main Features: This hat is made of 100 % of felt material featuring the design of a cowboy hat in pink. The crown is round with evenly curved brim. There is a white lace around the brim of the hat along with a white windward. It is available in 1 size that can fit head’s circumferences of most children. The pink color of this hat is a bright and bold pink. This cowboy hat is made of the premium felt material which is soft and smooth to the touch. In addition, the felt material is quite warm, helping to retain the heat around the head of your baby- even in a cool day. Furthermore, this hat is made with an exquisite craftsmanship for a durable and sturdy construction. The brim is nicely reinforced so that it can stay in its shape. The hanging string tie helps to keep the hat stay secured on your girl’s head, no matter how active your kid would be. 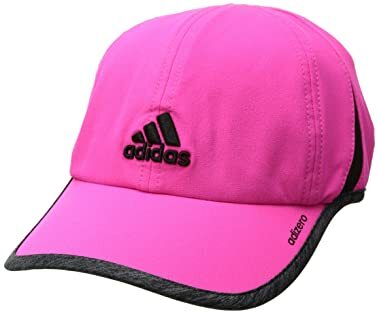 Another thing that I like about this hat is that the pink color of the hat is bold and vivid, which can surely make your kid become outstanding. The fabric is fade resistant so that it can stay in its shape regardless of how many times your kid wear this hat. In case you are looking for a pink felt cowgirl hat for your little girl, check out this hat. 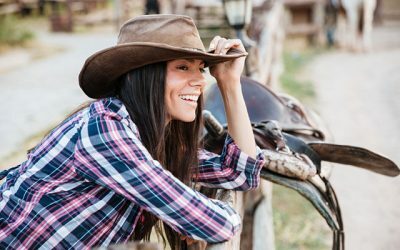 This hat is a perfect accessory for your girl to transform into a cowgirl for a Halloween party, a birthday party, or any other themed party. Or if your kid is a fan of Jessie or the cartoon movie Toy Story, there would be no better gift than this one. That is all about the best and cutest pink hats for women that you can find on the market. As you can see from the list, there are various choices of pink colors for to choose from- from light pink, baby pink to dark pink. Not to mention that there are many styles of pink hats including derby hats, baseball cap, and felt fedora hat. The choice for you is endless. A pink hat will surely be a great choice of color to brighten up your wardrobe. 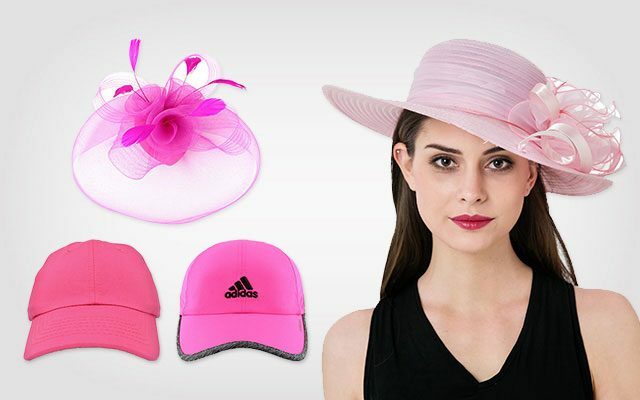 We hope that with the list of our top pick above, you can quickly find the pink hat that meets all of your needs and requirements in styles to purchase.